Orosei, of which Cala Ginepro is the tourist resort, is a wonderful town with a little over 7,000 inhabitants, located in the province of Nuoro in eastern Sardinia. It is surrounded by vegetation in the form of rich fruit orchards and olive groves, and is sheltered by the imposing Mount Tuttavista. The delightful coast of the Gulf of Orosei offers more than 40 km of beaches, inlets, bays and breathtaking reefs. Not by chance is the Gulf of Orosei considered one of the most stunning examples of the natural environment in all of the Mediterranean. Orosei is located just a couple of kilometres from the sea, nestling in the valley of the River Cedrino. As the main town of the Baronia district, it underwent marked development from the 12th century onwards, during the time of the so-called “Giudicati” (the independent states known as Judicatures). Back in the Roman period, there had been a settlement in the Gulf of Orosei called Fanum Orisi, which then became Urisè, and subsequently Orosei. In Orosei today, there are the remains of the mediaeval castle called “Prejone Vetza” – its name based on its subsequent role as a prison. The castle was built in the 14th century to defend the old port; conquered by the Aragonese, only the central tower is still evident, located in what is now Piazza Sas Animas. The old part of town, dating from the Middle Ages, is well-preserved and looked after. It is characterised by its quaint streets, ancient courtyards and noble palazzos, which remain in a good state of repair in the district of Palathos Vetzos – which in Sardinian means “old palaces”. The Guiso Museum is located in one of these ancient palazzos. 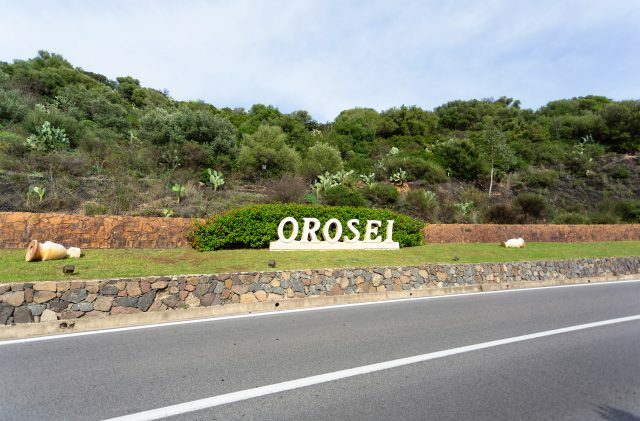 If you're wondering what to see in Orosei, the historical centre is a great place to start! Orosei plays host to numerous churches. The church of Saint Anthony the Abbot (Sant'Antonio Abate), complete with its 15th-century frescoes and mediaeval Pisan tower, was initially a country shrine. If you stand under the colonnade, on the left you can see the “cumbessias” – little rooms intended to accommodate pilgrims. On 16 January, the Feast Day of Saint Anthony sees a large bonfire being lit in the courtyard of the church. At the gateway to the city, you come to the shrine of Our Lady of Remedy (Nostra Signora del Rimedio), who is venerated in Orosei. In September, on the Feast Day of the Virgin of Remedy, the “cumbessias” of the shrine are once again occupied by pilgrims. In the past, the Su Rimediu shrine served as a leper hospital – it was itself the “remedy” against epidemics – but was also used as a refuge during Saracen raids. The church of Saint James the Apostle (San Giacomo Apostolo), the town’s patron saint, is situated in Piazza del Popolo and is the most important place of worship in Orosei. It is also one of the most beautiful churches in Sardinia, with an elegant 18th-century facade complementing its Baroque architecture. 25 July is the feast day of Saint James in Orosei, with numerous events being laid on, including music, games, fireworks and Sardinian dancing and polyphonic folk singing, characteristic of the island of Sardinia. The church of the Virgin of Sea (known locally as “Santa Maria ‘e Mare”) was built by Pisan merchants in 12th century. In the past, the church served as a safe harbour for those who found themselves shipwrecked. Today, the Virgin is considered the protectoress of all sailors. The feast day of the Santa Maria ‘e Mare is held on the last Sunday in May. It is one of the most evocative such festivals in Sardinia. Against the backdrop of Piazza del Popolo, 9am sees the start of the process known as “Sa Mutatura”, whereby the fishing boats are adorned with flowers. In the afternoon, the parade begins, passing through the streets of the town before the slow sail towards the church of Santa Maria ‘e Mare. The decorated boats, arranged in a long line, transport the likeness of the Virgin to the church. After the religious celebration, the festival continues outside the church, where the wonderful atmosphere is enjoyed by all. The local economy is based to a large extent on tourism, but an important contribution is made by the small artisanal businesses and farms that make a wide variety of local delights, including sweets, honey, fruit, vegetables, wine and olive oil. Orosei is also famed for its quarriers. Orosei marble – which is considered internationally to be of the highest quality – is extracted from Mount Tuttavista. At Camping Cala Ginepro, various finishes in the complex are made from Orosei marble.